It's a marital showdown when Channing Tatum takes on his wife, Jenna Dewan-Tatum. What happens when a red-hot comedian squares off against an A-list actress? Let's find out. 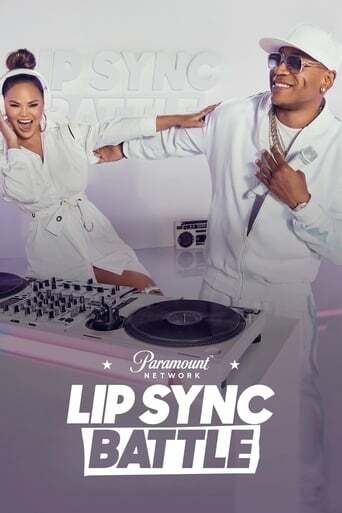 The stars of "Black-ish" square off in an epic battle. It's a clash of Hollywood heavyweights when Josh Gad & Kaley Cuoco square off. Will Josh's Trump-style hair be enough to knock off the "Big Bang Theory" actress? It's a case of sports vs. Hollywood when Nina Dobrev squares off with quarterback sensation Tim Tebow. Who will take home the belt? Two of Hollywood's hottest actresses are facing off in the LSB arena, but only one can take home the belt. Who will it be? MMA legend Randy Couture takes on the wildly popular Gabriel "Fluffy" Iglesias on this week's LSB. Who will take home the belt? Who will take the belt when a "Teen Wolf" icon faces off with a supermodel? 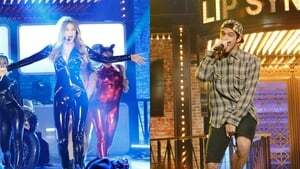 Find out this week when Tyler Posey clashes with Gigi Hadid on Lip Sync Battle. It's a "Walking Dead" showdown the likes of which this world has never seen. Which star will hoist the belt? What happens when two world-class pop megastars square off in the LSB Arena? Fashion designer Nene Leakes faces off against entrepreneur Todd Chrisley. Clark Gregg and Hayley Atwell battle it out. Joel McHale and Jim Rash battle it out. Snoop Dogg and Chris Paul battle it out. Gina Rodriguez and Wilmer Valderrama face off. Josh Peck and Christina Milian face off. CeeLo Green and Russell Peters face off. Shaquille O'Neal and Aisha Tyler face off. Zoe Saldana and Zachary Quinto face off. Comedians Chris D'Elia and Brent Morin face off.